Should Books Be Made Into Movies? I like books. I like the way they smell, the way they feel, the way the pages slip through your fingers before giving you a dozen paper cuts. I like the way Times New Roman font looks against white paper. I like holding another world in your hands and feeling the weight of the words. I like their covers. I like their back-covers. Occasionally, I like the content. Why do you care about what I’m saying? Or, rather, why should you care, other than the fact that you are my dutiful readers and must value everything I say? (This is a cult, right?) Because, while I appreciate the power of both film and literature, I am hesitant to mix them together and you should be too, not because all film adaptations are bad, but because I believe audiences should question the content they’re consuming before completely ingesting it. Though I am partial to the anti-adaptation team, it is important to consider both sides. As the age of technology reaches its peak, humans are becoming more averse to tackling challenging reading material than ever before. You never hear someone say, “I just want a really difficult read, you know?” Movie adaptations, in some ways, can be considered an extension of that ideology. 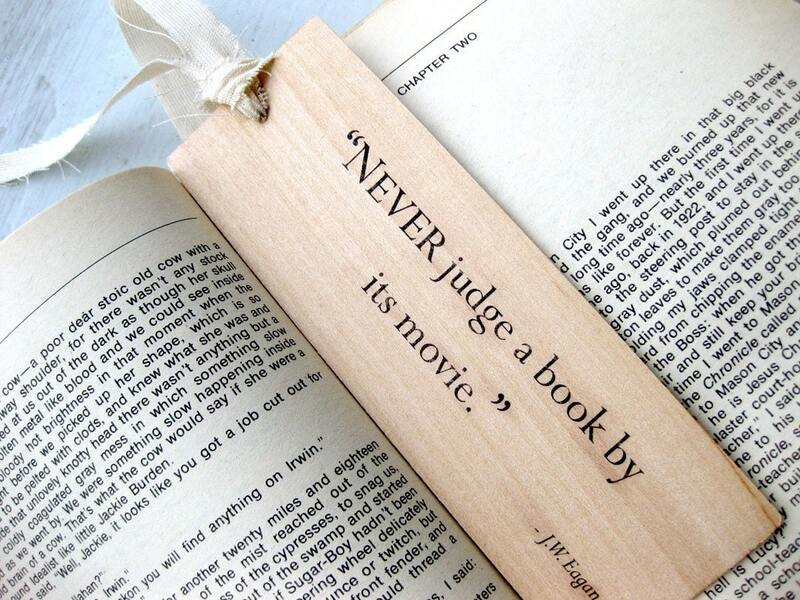 If you don’t want to read the book, watch the movie. If you don’t want to watch the movie, read the summary on SparkNotes. If you don’t want to read the summary, read the back cover and hope for the best. It seems that the path of least resistance is becoming smoother by the second. Readers used to possess their own sort of exclusive culture. People could get together and discuss books in depth, and feel connected with those around them merely through their mutual excitement. Take the Harry Potter craze, for example. If you are in a group of people that are chatting about Harry Potter and you have not read Harry Potter, you automatically become the outcast. I’m not trying to encourage the exclusion of your less bookish friends. (Yes I am.) I’m just pointing out that reading is kind of like Greek Life, without the public humiliation and weekly blackouts. There’s a certain camaraderie behind it that makes me all warm and fuzzy inside. However, if books are the door to that literary culture, then movies are the disruptive, misunderstood cop that likes to kick doors in while needlessly firing a machine gun. Or, if that metaphor didn’t do it for you, imagine if the outcast went and watched the Harry Potter movies instead of reading the books. They wouldn’t have the same level of information as those who had pushed through all 7 stories but they would know enough about the series to re-enter the conversation and make the transition from outcast to friend group again. Movies let people into that VIP book culture while removing the hassle of actually reading the books. Movie adaptations don’t always have a negative effect on the book market. Adaptations can often generate new readers and fan bases. Prior to the release of The Hunger Games, for example, sales for the book, and its sequels, skyrocketed. Readers of all demographics began to wrestle for a copy of the coveted novel, even inspiring a new Olympic sport called “Book Brawl.” (Or maybe I dreamed that..) Not only can adaptations spur the popularity of such books but they can also help modernize them and make them appear more relevant to readers today, which might increase their appeal. 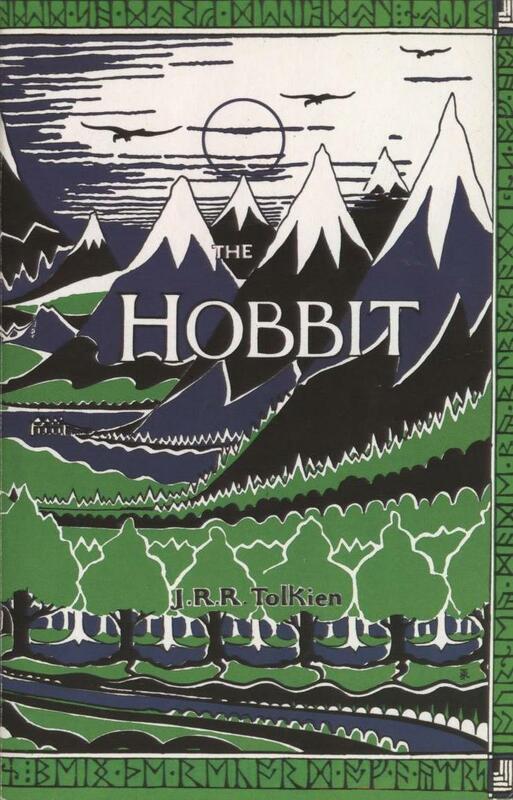 Upon the debut of The Hobbit, bookstores like Barnes and Noble released a line of Hobbit books with a new, simplistic cover in an attempt to make the story popular again. Unless they start reprinting books with 50 Shades of Grey inspired covers, I’m okay with this development. If movies are good for anything (besides date nights, unhealthy food consumption, first kisses, and basically everything now that I think about it), they are good for showcasing the power of the imagination. When paired with books, movies can make a story truly come alive and remind people how easy it is to turn a blank page into a phenomenon. I don’t hate movies nor do I deny their ability to provoke intellectual discussion or thought; I just believe that book-to-movie adaptations can have more negative effects than positive ones. They can lure me in with attractive and talented actors and dazzle me with special effects but, in my heart, they will never match my excitement for books. What do you think? Are you a fan of film adaptations? Do they enhance your perception of a particular book or would you rather develop your own interpretation? Does seeing Leonardo DiCaprio as Gatsby make you like the character better or worse? Did you like him as Romeo in that weird Romeo and Juliet remake? Or did you like Titanic better? What do you think about that guy building a Titanic 2? I think we’re getting off topic but you get the idea.